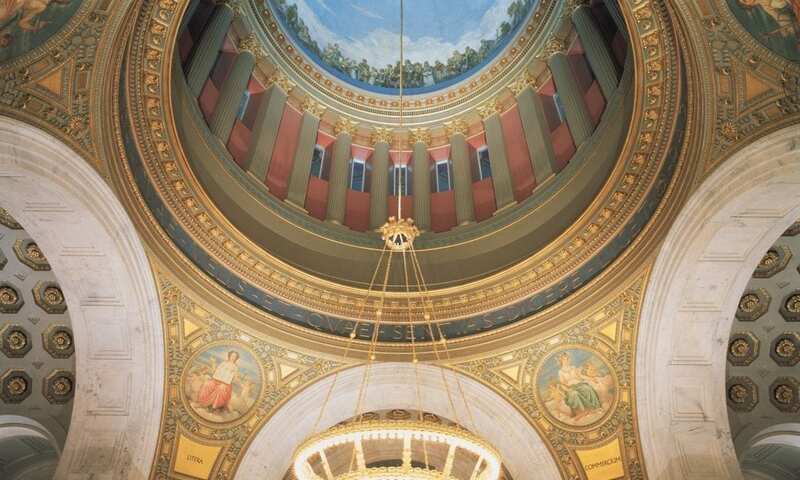 Rhode Island State Capitol Restoration | John Canning & Co.
John Canning Co. projects at the Rhode Island State House in 1998 and 2017 involved the conservation, cleaning, and restoration of the magnificent dome murals, decorative painting, and architectural gilding. The dome of the Rhode Island State House is the fourth largest self-supporting marble dome in the world. 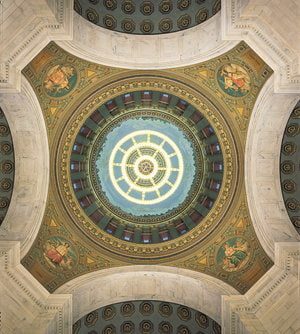 In 1998, John Canning Co. acted as the General Contractor coordinating all work and trades in the rotunda while the building remained open to the public. Areas were exposed, revealing 1895 painted designs and colour palette. 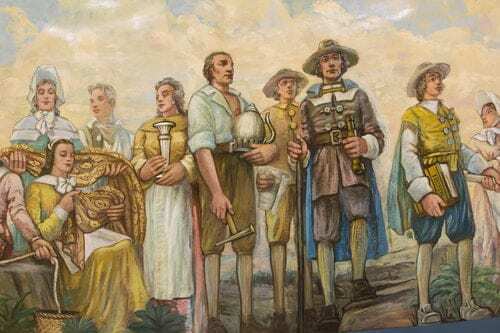 The original scheme was recreated and the fine art murals cleaned. 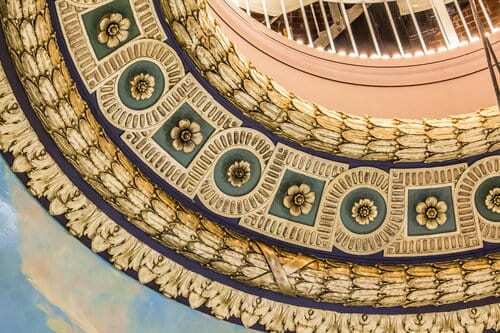 In 2017, Canning Co. returned to restore areas of the mural damaged by water intrusion and the surrounding gilded ornamental plaster moulding.